You would like to celebrate a special birthday or hold a party for the family or simply have a get together between friends? You belong to a Club and want to hold a special reunion? 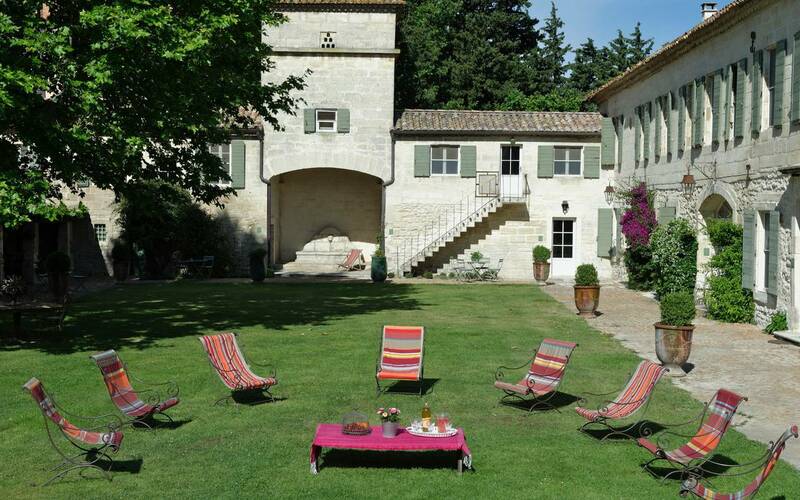 Domaine des Clos understands your needs and is the ideal location to hold a function. We can receive up to 22 persons for 2 nights minimum, or 43 persons for a week minimum; our accomodation includes double rooms, suites (sleep 4) or apartments for 2, 4, or 7 persons. You can use our living rooms with fireplace and our projection screen. Outside you can enjoy the large garden and park of 4 hectares, the swimming pool or the trampoline and the petanque (boules) as well as the ping-pong, table football, and society games. You can plan your day as you like, at your rhythm, using the various picnic areas and barbecues or have us help you with the daily planning and activities. Breakfasts, lunches, afternoon teas, apératifs, dinners, from simple to sophisticated anniversary dinners we can arrange it. For the parents of young children we can provide a baby cot, high chair and other accessories. There are also kitchens and microwave ovens to help you during your stay. You’d like a baby-sitter or a massage? Just ask. We can also help you organise your stay: we have a list of excellent addresses, be it, culture, entertainment, sport or gastronomy and we are happy to share them with you.  We can organise a qualifed tourist guide, French/English, for cultural visits or a guide to accompany you on your hikes in the Camargues or Alpilles or the valley of Uzège. 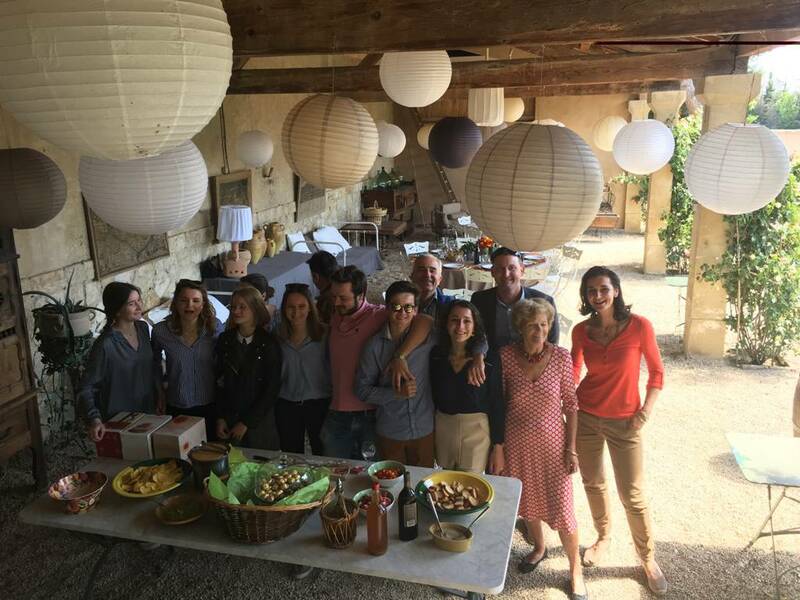 Winetasting Tours and Olive oil Tours and tastings in the terroirs of AOC Costières de Nîmes and the valley of Baux de Provence can also be organised. And if you have other ideas, just let us know and we can help you plan them too.